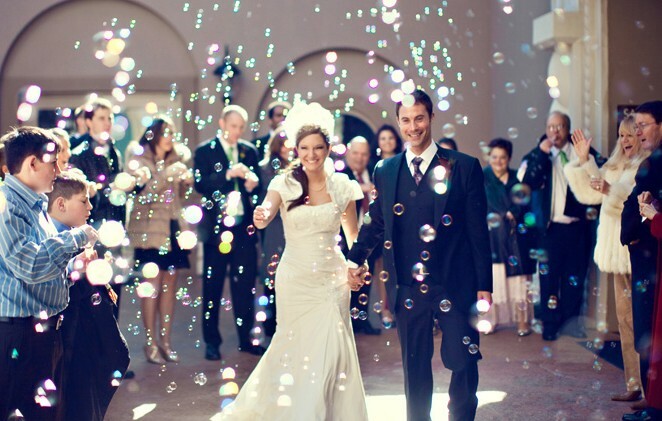 Create a magical and enchanting wedding exit by blowing bubbles to the newlyweds during their send-off! See more photos from this wedding on the source. See a tutorial for making bubble jars.